I've known about tea rinses for a long time and heard great things about them. 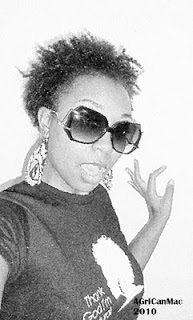 One of my natural hair icons, EbonyPrincessH, used to do tea rinses a lot. Only recently did I become intrigued enough to want to try one. Note. If done frequently, it can "stain"/dye the hair giving it some red highlights. So please be cognizant of this. From what I've gathered, it's the caffeine in the tea that is said to lower your hair's resting phase, so that you get more growing time. So IT DOES NOT ACCELERATE YOUR GROWTH RATE, it extends your growing phase. A member from LHCF shared that different studies came to a conclusion that caffeine aided in extending the growing phase by 37%. It also seems to have similar benefits to my beloved ACV rinse minus the insane stinging if it gets in your eyes. LOL. If you have extra, make sure you use it up fairly quickly and keep it cold (in the fridge like iced tea). I'm told the shelf life is short and after about a week or 2, the tea can start to mold. (caffeinated) Coffee is also said to do the same things. I like the tea better b/c I don't want to smell like a fresh pot of coffee. I do my ACV rinses after I've conditioned and washed my hair, so that's how I did the tea rinse. I used green tea and made tea like you normally do and then let it cool down, of course before applying. Not trying to burn myself. Lol. I also added a lil honey (you can substitute this with agave nectar or molasses) to my tea. I put it in a spray bottle and first spritzed it on my hair, then dumped the rest over my head. I left it on for about 1 min and then rinsed it out. *Sigh* I'm going to have to give this one a fail on my part. I dunno guys, I didn't like the way it made my hair feel at all. 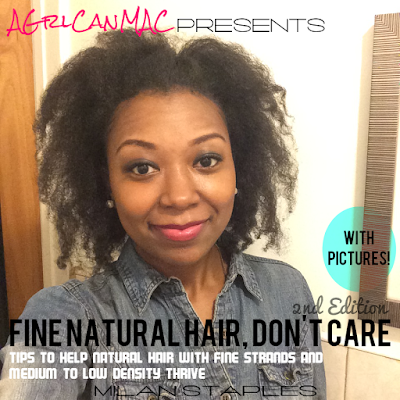 My ACV rinses have my hair feeling smooth, soft and fluffy. This rinse made my hair feel weird; like it was dried out. It felt rough and dull and it imparted no shine to my hair. Throughout the week of this experiment, my hair was drier than normal. Maybe I did something wrong? I may get the gusto to try it again but for now, I'm good with my ACV rinses. Do any of you do tea rinses, tried it, or want to try it? Weigh in! Jc, I'm calling on you again girl! I'm looking out for the resting phase part.......... I didn't find anything in my last search so I'll google that lhcf thread to see if someone has quoted it. I have been wanting to try an ACV rinse for the longest but, I'm scared it will have some adverse effect.